One great quote of our Holy Father, St. Augustine of Hippo reads: "The main reason for your coming together is to be of one mind and one heart on the way to God." That sentiment, iconic to what it means to be part of our Augustinian community is what spearheaded our Inaugural Gala this past April 2013. For that reason, as well as the great demand for another successful event, the Augustinians are proud to announce that we will celebrate another Gala on Friday, April 25, 2014 at the Drake Hotel in Downtown Chicago. 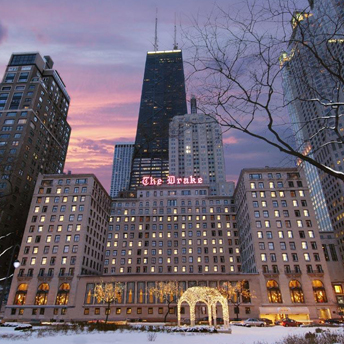 The Drake Hotel, located at 140 East Walton Place, is listed as one of the U.S. National Registry of Historic Places. The prime location overlooking Lake Michigan provides a spectacular view for all of its guests and visitors. 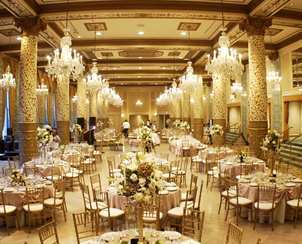 The hotel provides more convenient accommodations, valet service, and a stunning Grand Ballroom. We are also ecstatic to announce this year's Co-Chairs, Dr. Jim Foody, M.D. and Rachel Rone. More will follow regarding this wonderful Co-Chair team, the Gala Committee, and details for making reservations. We will also be announcing soon our very deserving honorees, who exemplify the core values of carrying our Augustinian charism throughout the world. Questions or comments about the Gala? Contact Chief Advancement Officer Michael Gerrity at michael@midwestaugustinians.org or 773-595-4035.